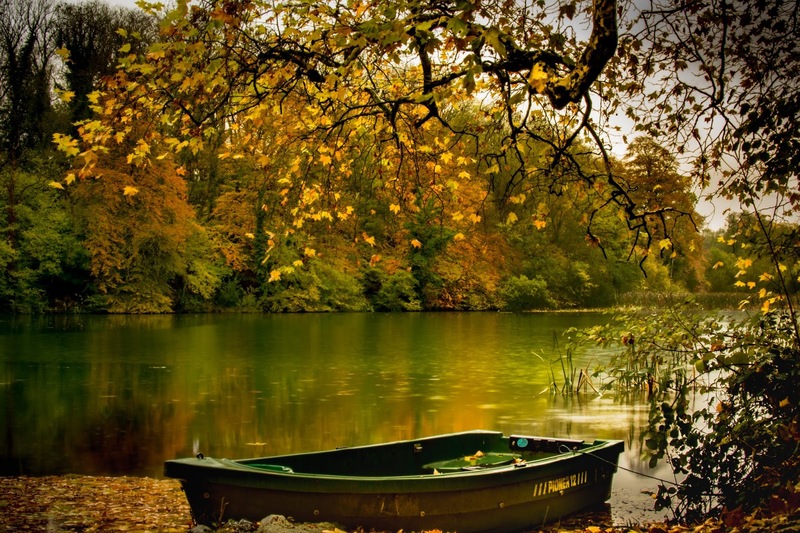 My syndicate lake in the autumn. Finding a balance between work and family life can be tricky enough at the best of times but throwing an obsession with angling in to the mix and a series of unfortunate events and circumstances to boot can make for an even harder task. I will spare you the details of my complaints but suffice to say 2018 has been a difficult time but the solitude and serenity provided by even the shortest tarry on the bank has been greatly appreciated and served a valuable therapeutic purpose. My first winter since returning to the West Country was cold and at times, hostile. The River Frome provided some respite from the working week where hours spent driving in dismal darkness topped and tailed days of relentless challenges. The Frome, even in the bleakest days of winter, seemed to be teaming with life and from this I took solace. 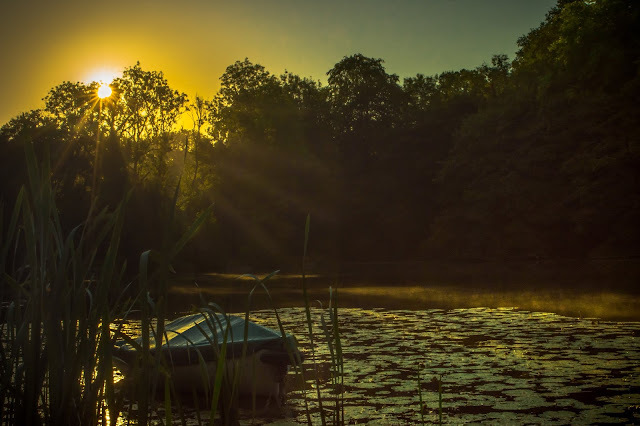 Time has not been my friend for some years now but as I have found in recent years, by cheating myself of sleep I could be set up on the bank, ready to trot a float or watch a quiver-tip just as the first semblance of sunlight scouted ahead of the horizon. The simplicity of fishing here itself was good for me, a perfect antidote to the complexity of problems faced elsewhere. Over the months that followed, I enjoyed a consistently satisfying stamp of roach, dace and some fair chub to boot - even when a carpet of snow adorned the patchwork fields that surrounded the stretch. This snow did not prevent the fish from biting but when it caused me to turn my car over on my way to work with my rods still in the boot, my river fishing was put on hold for a couple of weeks until they could be retrieved and consequently the last knockings of the season were missed. Chub and Roach caught on the River Frome and my mondeo shortly after I rolled it on the ice. Whilst the rivers were still closed, my friend Jake took me for a short session on his syndicate lake on a quest for a carp. It was quite an interesting venue with very little in the way of visible features. Thankfully, a carp gave its whereabouts away by topping out of the water while we were setting up and so this mid-water location became one of our baited areas. 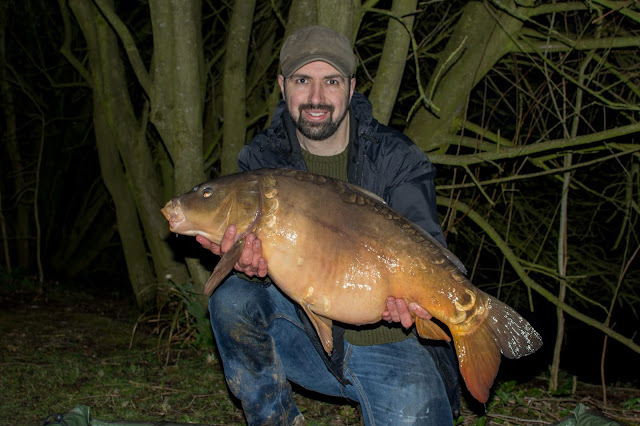 It transpired the topography of the lakebed was akin to the inside of an egg box with belligerent boulders towering up from the silt, making for a heart rendering battle when early in the evening a powerful fish took off with my maple nut popup. I could feel the line rubbing against the rocks and pinging free one by one, each time causing me to think the fish was lost until the slack was taken up once more with another valiant bid for freedom. I have only targeted carp twice in earnest this year, both were successful and coincidently, Jake was fishing in the adjacent swim both times causing me to see him as something of a lucky charm! My biggest carp of 2018. A few weeks later the seasons had changed dramatically. It was only the beginning of May but felt like the height of Summer. It was an honour to have been invited on a very special social trip to Charlie's Lake near Ashford, for my friend Shaun's stag do. The camaraderie and banter was top-notch throughout the whole weekend, as was the fishing. Thankfully, everyone managed to catch at least one wels catfish which was our intended quarry. My own catches started small and progressively increased in weight resulting in this 30lber taken from tight to snags on the far bank. In all honesty, I don't think I have ever had my string pulled so hard! However, once away from the submerged branches of the tree I had cast to, the open water in front of me was free from hazards, meaning it was just a case of holding on and hoping the fish would tire to the point of submission before I did! New PB catfish at 30lbs caught at Charlie's Lake. I had joined a small syndicate myself, not far from home with the hopes of catching a few of their newly stocked crucians, or even one of the fabled original stock if I should be so lucky. It turns out I was not lucky at all. Over the whole summer, I did not catch even one here, though had one on the end of my line a couple of times before embarrassing blunders betrayed my success. This lake was a tranquil haven, devoid of other anglers almost every time I visited however I was kept company by a carnival of animals; badgers, tawny owls, kingfishers, swallows, deer... all popping past to pay their respects! Eventually, I put my ambition for a crucian from this water aside and targeted the perch. 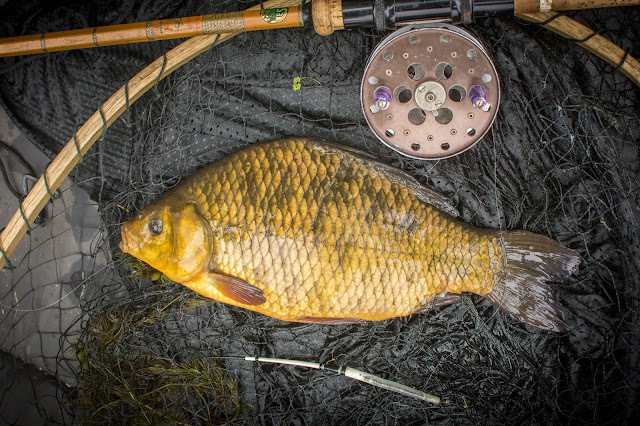 I caught a number of good fish, both with a worm beneath a traditional bobber and also on a more modern approach with rubber lures fished on a very light drop shot rod - the latter of these two methods producing the best fish of the summer for me. A chunky drop-shot caught perch. I was fortunate in the summer to be invited back to The Moat to fish for a few days. This venue is special for numerous reasons but the quality of the crucians here is right up there. So much so perhaps that the characterful, dark carp that inhabit the same waters are often overshadowed. However, I am equally keen to target both whenever I am fortunate enough to visit. 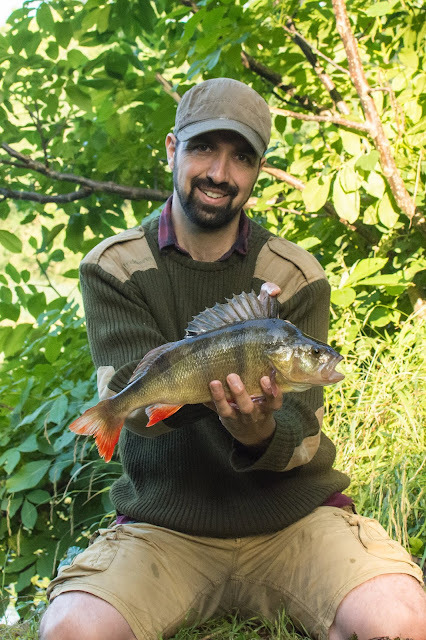 My previous trip had seen me catch some tenacious tench and a very credible crucian but all in all was a tough session with each bite being hard earned. This time though was quite the contrary. 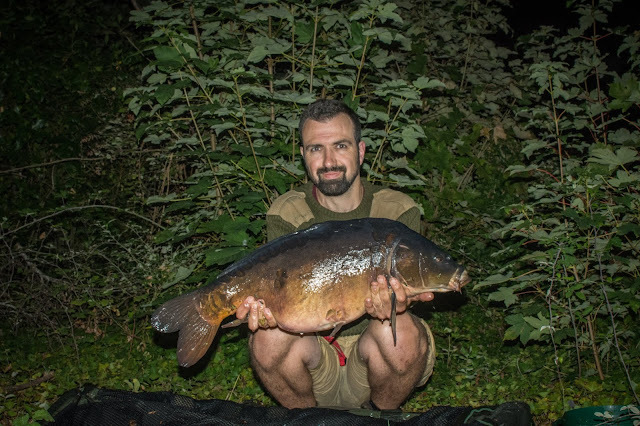 Several carp were taken each night and at first light and a couple of crucians each over 2lbs made my mornings along with others lost and a variety of non-target species for good measure. A dark mirror caught at night at the moat. One of the things I am enjoying in my fishing these days is the fluidity I have acquired between traditional and modern methods. In fact, I no longer see them as separate entities: it's all just fishing! I will happily fish with cane or carbon, depending on my chosen tactics and often will combine the two. The moat lends itself especially well to this in my opinion. My last trip of the summer was with my dad who was keen for us to do some sea fishing from Chesil Beach. In a way this brings me full circle, as this is exactly how I got started. These days, I don't really own a lot of sea tackle and so had to improvise - a carp fishing rod pod combined with storm poles from my brolly became my tripod and my spod and marker setup became rudimentary beach casters. It all held up well, in spite of my doubts and the fact that it was put through its paces by a vast variety of species including gurnard, whiting, dogfish, mackerel and others which could certainly pull hard such as conger eels and thornback rays, was testament to its adequacy. A couple of fish were taken for the table, all the rest were returned. It was great to get out with my dad again - we always seem to leave it too long but have a great time whenever we do get our act together. Once I returned to work after the summer break, my fishing resumed its previous form of short early morning sessions at the weekends. The object not being so much to a catch fish as to catch up with myself in a moment of quiet. I have certainly managed to get on the bank more frequently than last year, when being a new father brought my angling to a standstill for a time, but aside from a few overnighters, I have only fished during the day on two occasions - all the others being no more than a few hours at dawn each time and so with this in mind, I am quite pleased with the fish I have caught and the experiences I have had. I am already very excited about some piscatorial plans for 2019 and can't wait to be able to share them with you as they transpire. Until then, have a Merry Christmas and a Happy New Year! 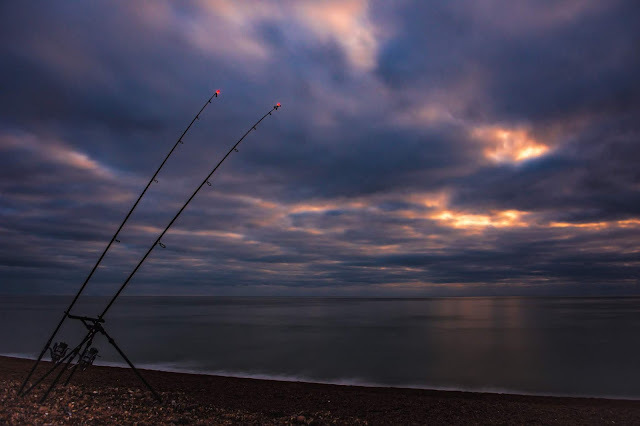 Beach casting with my spod and marker rods at Chesil Beach! Hi Gareth, thanks for the encouragement! The new backdrop is a shot of Chew Reservoir as I passed it early one morning on my way to work. Don't you dare give up 'postcards' - too many of us enjoy reading your stories and I honestly think you would miss it. I completely relate to your sentiments regarding social media though. It does get a little tedious to say the least. Looking forward to dangling a line with you again in august mate and hope to read many more of your posts before then! You may have received this reply in triplicate- having PC problems! Apologies if so, mate!